Dr. Lim obtained his post-graduate surgical degree from the Royal College of Surgeons in Glasgow. Dr. Lim trained as a Surgical Fellow at the Mayo Clinic, Rochester, USA where he focused on joint reconstruction techniques, especially in primary and secondary hip and knee replacement surgery. 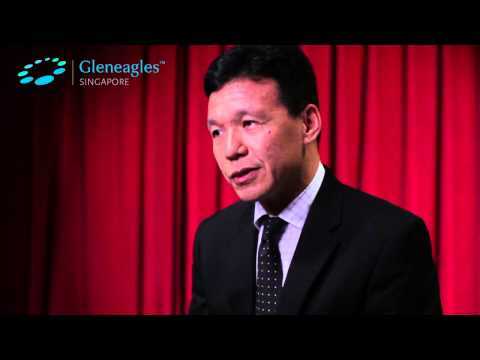 Prior to setting up his practice in Gleneagles Hospital, Dr. Lim was a Consultant Orthopaedic Surgeon at Tan Tock Seng Hospital. He was also an Orthopaedic Surgeon at the Orthopaedic Centre at Raffles Hospital. Dr. Lim’s interest include Adult reconstructive surgery, including minimally invasive unicondylar knee replacement, revision surgery for failed knee and hip replacements. He is also interested in traumatology (including orthopaedic trauma) and arthroscopic surgery for knees, shoulders, ankles and wrists. His other interests also include sports surgery with a focus on cruciate ligament reconstruction and meniscus repair and general orthopaedics.